The Ceiling Mounted Shower Arm (600mm) is a modern and ultra-functional shower arm from tapware manufactures, Linkware. It is designed to offer easy installation and is ideal for contemporary bathrooms. The Ceiling Mounted Shower Arm measures 600mm in length and has a diameter of 65mm. 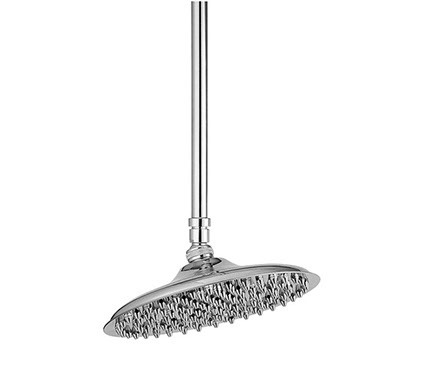 It is suitable for use in overhead shower systems and is designed to work with all standard shower heads. 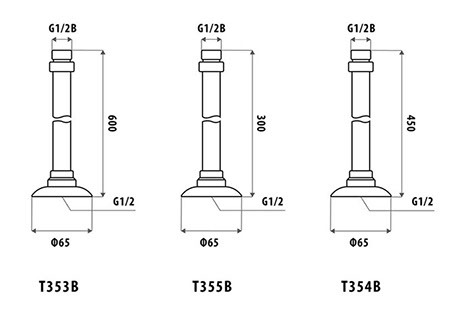 It is also available in 300mm, 450mm variants. Experience the best of quality design and amazing functionality with this stylish shower arm. It comes equipped with a flange, which facilitates easy mounting on ceiling outlets and offers consistent overhead spray, which is due to its contemporary design. This ceiling mounted shower arm is a top-quality product that is designed to withstand the test of time. 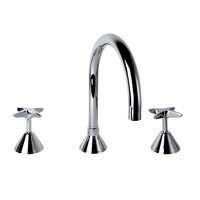 It features full brass constructed and a chrome finish. As a sign of quality, it is backed by a 2-year limited warranty. 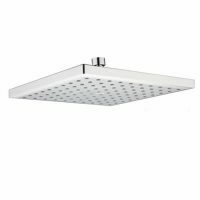 For modern and functional overhead shower arms in Perth, you’ll find nothing better than the Ceiling Mounted Shower Arm (600mm) available at Ross’s Discount Home Centre. 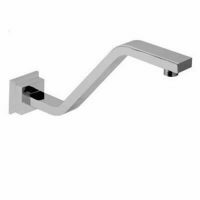 Purchase this shower arm at the best price in the market from our online store today!